We are Govt, Regd, Institute enabled with interactive classroom. We are famous among the students with a punch line "Wo toh padaate hain". With our conceptual learning module Many students have made them free from phobia in mathematics. We believe that the terms Phobia in Maths is nothing, just a matter of some strong concepts and a counseling session. Our experience shall make you feel the difference in just 1 Class. > Learning truly based on Concepts. > ZERO Cancellation of Classes. > Video Lectures for Interactive Revision Classes. > Cover Syllabus twice a year. toppers of their schools and rich in contents. > Focus on ones performance. > Clean and Learning atmosphere. > Continual efforts to upgrade in services. 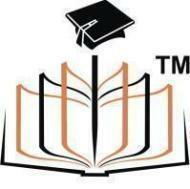 Talujas Academy conducts classes in BA Tuition, BBA Tuition and BCA Tuition. It is located in Rohini, Delhi. It takes Regular Classes- at the Institute.